Women do not get the opportunities in film-making that men do. 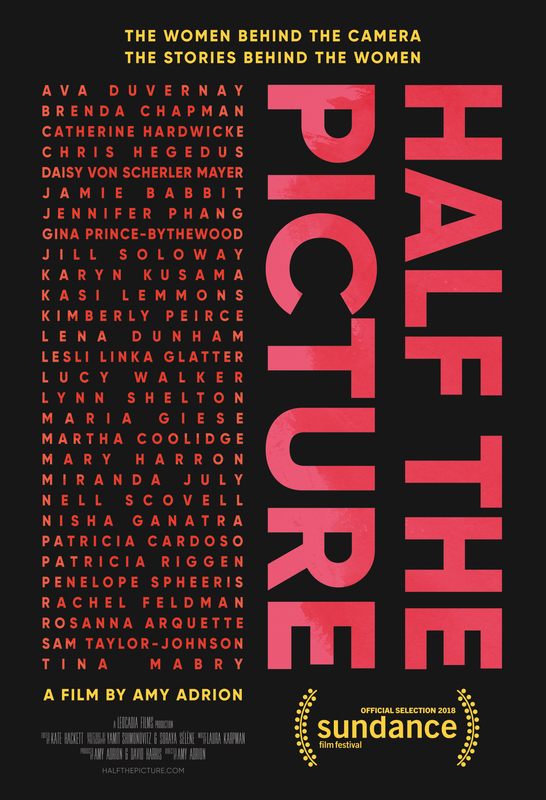 That is demonstrable fact, and to understand exactly how and why institutional sexism is harming the American film industry you couldn’t do much better than watch Amy Adrion’s admirable and engaging documentary Half the Picture. Through a well-considered and arranged series of interviews, it basically demonstrates the facts that both industry and audience need to think about, understand, and hopefully change. In the earliest days of Hollywood, women outnumbered men behind the camera. Then, as key production roles – notably director – increased in prestige, women were increasing locked out of the industry. By 2014 about 6 per cent of American films were directed by women. Adrion explores the current landscape of American film via a series of interviews with women who do successfully direct in this environment. It makes Half the Picture a fairly talky picture, comprising as it does almost exclusive those women revisiting their careers – particularly the challenges they face. Thankfully the talking is on-point, relevant, and most importantly it’s personal. It feels like actual people describing the challenges they face in their careers, and not just talking heads. The women vary in experience, age, and attitude. Animator Brenda Chapman describes being dismissed off her own film Brave. Music documentary and comedy Penelope Spheeris, now retired from the industry, talks about getting trapped in a ‘boys club’ on her own films. Catherine Hardwicke shares how after directing a mammoth hit in Twilight being forced to take on her next assignment for a minimal fee. There is a wealth of experience described here – some good, mostly bad – and Adrion does an exceptional job of tying these multiple experiences together and turning into a clear documentary narrative. It moves from point to point with elegance and clarity. Such clarity left this viewer with two very strong emotional responses. The first is anger. It is surprising that it has taken this long for a filmmaker to tackle the gender disparity that has affected Hollywood for decades, and the unfairness in women failing to get equal opportunities to their male colleagues is obvious a problem. It is grossly unfair for the directors themselves; that is clear as crystal. It is also grossly unfair to audiences: with so much demonstrable talent shown by the women interviewed, the thought that studio mismanagement and gender bias has cost us many films by these directors is rage-inducing. The second emotion response, however, is much more positive. Women are calling these problems out. People have been active campaigning to get the US federal government to take notice, and for relevant departments and organisations to take notice. Things may be changing. Half the Picture may only be one step towards a solution, but it is an important and high-profile one. Amy Adrion has not just directed an excellent documentary – both informative and inspiring – it feels as if she is enacting social change at the same time. If you have an interest in smart, driven women, the film industry, or social justice, this is a valuable work.